The Pink Narwhal charts the adventures and escapades of, unsurprisingly, a pink narwhal as she begins her PhD at a small, seaside university, builds a home with her lovely blue narwhal, and does her best to navigate the rocky ocean of life and academia. 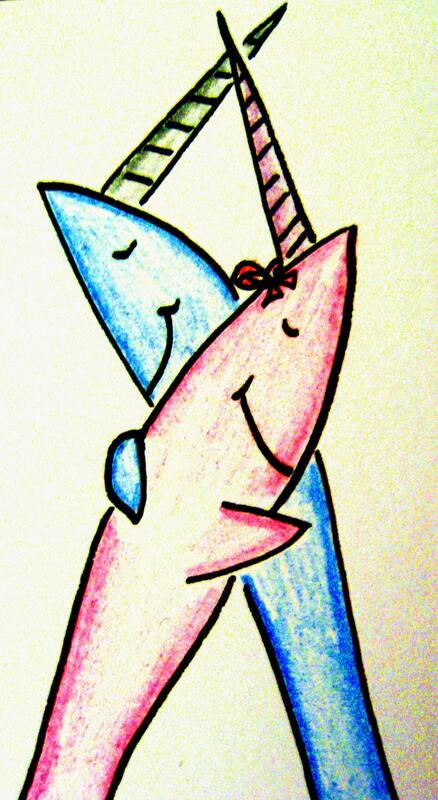 In her other life, the Pink Narwhal is a second-year PhD student at a small, seaside university. She would like to dedicate this very silly comic, with very much love, to her blue whale.